For Fiel's sake, lets hope so. Of course, we don't know what that map will be for yet. That could be part of the Luminous tutorial. I'll be pleased enough if any of those patches contain a woopie-doo skill animations revamp for every job to match the current flashiness of the newest released. I thought he was in the door to the present, though I suppose he might be launching his final attack on the Maple World, showdown @ Henesys Hunting Ground 1? This... please this. Even a animation revamp would sound extremely well to me. At least they wont screw things up if they just change the animation instead of the skill itself. The update to finally rig magicians of that useless Magic Bolt! 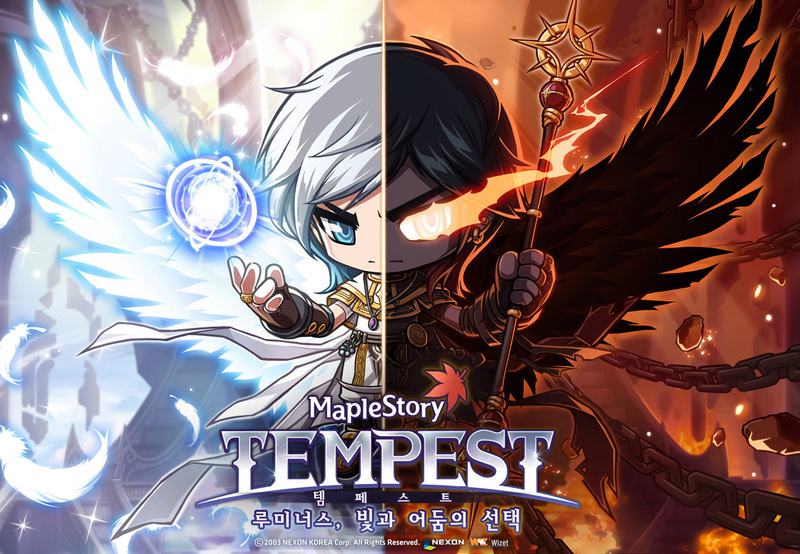 If I remember correctly, there were three new JobID's leaked in one of the previous KMST patches, one being Luminous. I guess this big summer patch is turning out to be quite interesting . There were only two. Luminous and a warrior from a new class type. 2, one is released, Mikhail, another is Luminous. The third one which you mentioned, never heard about it. *I could be wrong about Mikhail. ** Checked, I was wrong. We could expect a new warrior eh? A Demon Slayer that uses swords. The image of the character looks cool though. Na. If it is Magus he is a new race, some kind of dragon humanoid that can morph into a more dragonlike form. He is not related to DS. That was weird as pineapple. That's the video they were talking about? "Mapleuh-Sutori, Tenpesuto". Maybe this has something to do with @Mazz;. Damn. Yep, sorry guys, I'm the black mage.